The 2015 winners of the SAWTC, with National Champion Ralph Reynolds who is the Captain of Team SA 2016. The finals took place at The TAJ Cape Town. The South African Wine Tasting Championship 2014 celebrated the 20 best national tasters in Cape Town on the evening of the 25th of August. These Top 20 tasters participated to the blind tasting challenge and had to recognise 10 wines served from anonymous decanters, including wines from Italy and France to make it more challenging to the local palates. Because the SAWTC was opened to all, the Top 20 tasters came from various background, wine writers, winemakers, sommeliers along with wine lovers and passionate amateurs. The purpose of the Championship was to offer all the chance to put their taste to the test. Served in anonymous decanters were wines from some of the most innovative South African wineries, including Steenberg, Marianne, Creation, Lutzville, Jordan, Edgebaston, Beau Belle and Spice Route, plus a French Grenache and an Italian Pinot Grigio. It goes without saying that it was a difficult task: finding out which wine was what requires a sharp nose, a precise palate and an incredible memory. Out of these top tasters, the best ten qualified to be part of Team South Africa and will train together over the next weeks to send the best of them to the World Blind Challenge, organised in the heart of the Champagne region in France, on the 18th of October 2014. The Mosaic Team South Africa, preselected to fly the South African colours at the world championship, was presented their awards by the consul of France in Cape Town, Mr Xavier d’Argoeuves, on behalf of the host country. Team Mosaic will train along with the other members of Team South Africa, but will undergo specific training during a team building exercise at the fabulous Mosaic restaurant at the Orient Hotel close to Pretoria. The Mosaic restaurant, run by award winning Chef Chantel Dartnall, hosts the most comprehensive wine cellar on the African continent, with more than 3000 different wines. The cellar manager, Germain Lehodey, who was one of the finalists for the title of Best Sommelier of the World, will train team Mosaic and prepare them to face the 22 other national teams at the World Blind Challenge. 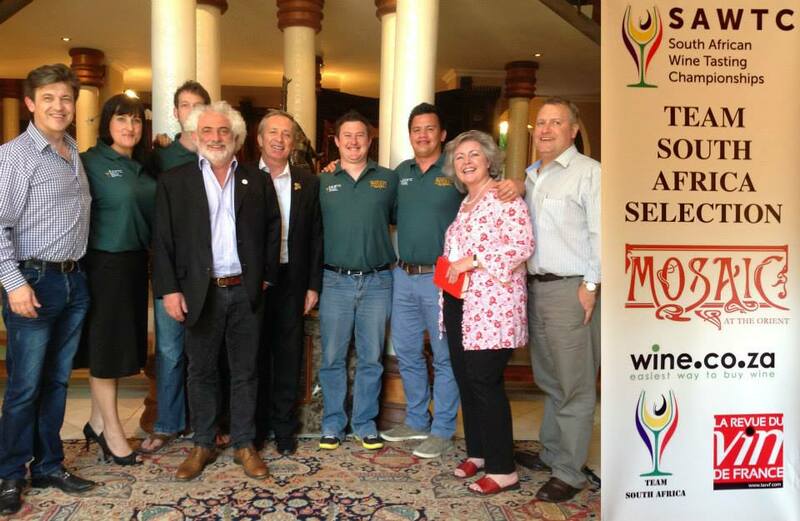 The team Mosaic representing South Africa is composed of four tasters and a substitute. Ralph Reynolds, Chris Groenewald, Gavin Whittaker, Samarie Smith and Lizé Oosthuizen will fly proudly the colours of South Africa and will attempt to un-throne the defending champions, Belgium, in a 2h30min competition where they will have to find out the country, region, cultivar, vintage and producer of 12 wines served to them blind. The team achieving the higher score will be crowned World Champion 2014. 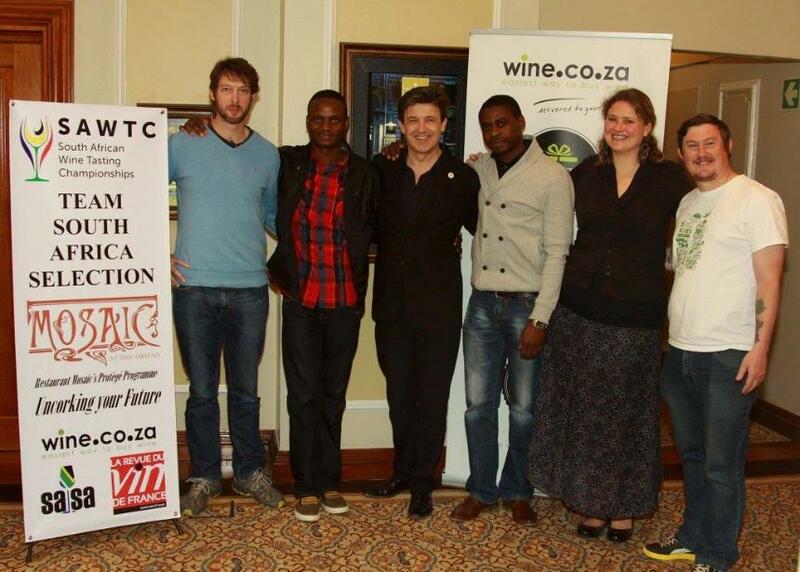 On Saturday 31st of August 2013 the inaugural South African Wine Tasting Championships took place at the Hilton Cape Town City Centre. This contest is the very first event in South Africa aimed at putting the wine lover in the lime light. Open to all, amateurs and professionals, the championship tested the ability of the participant to recognize wines they had been exposed to in a previous sighted tasting. Creation, Slaley, Steenberg, Jordan, Signal Hill, Stellenbosch Vineyards, Marianne and Spice Route presented their respective ranges to the contestants who had to then recognize a limited selection in the blind challenge arena, where wines were re-served in anonymous decanters. Out of the 204 contestants who actually returned their examination papers when leaving the Blind Tasting Arena, the best 50 will receive their certificates, validating their ability to trust in their palate. The Top 10 tasters will constitute Team South Africa. This team will train together, and 4 representatives will be sent to the World Championships, taking place in France on the 12th of October 2013. Based on the availability of each Team South Africa member for the trip, and the compliance with regulations, the best four tasters will fly our national colors at the World Championship. It will be the first time that a South African team takes part in the event. 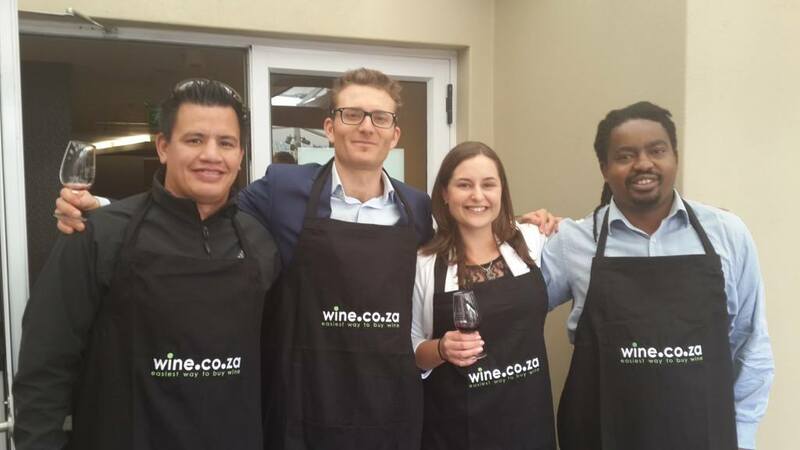 Demystifying wine tasting, opening the wine world to all wine lovers, empowering a new generation of South African wine fans, these are the goals the SAWTC is aiming at. This new yearly event is intended to make wine tasting popular and promote wine education, not only among the wine geeks, but to a larger public across all communities.